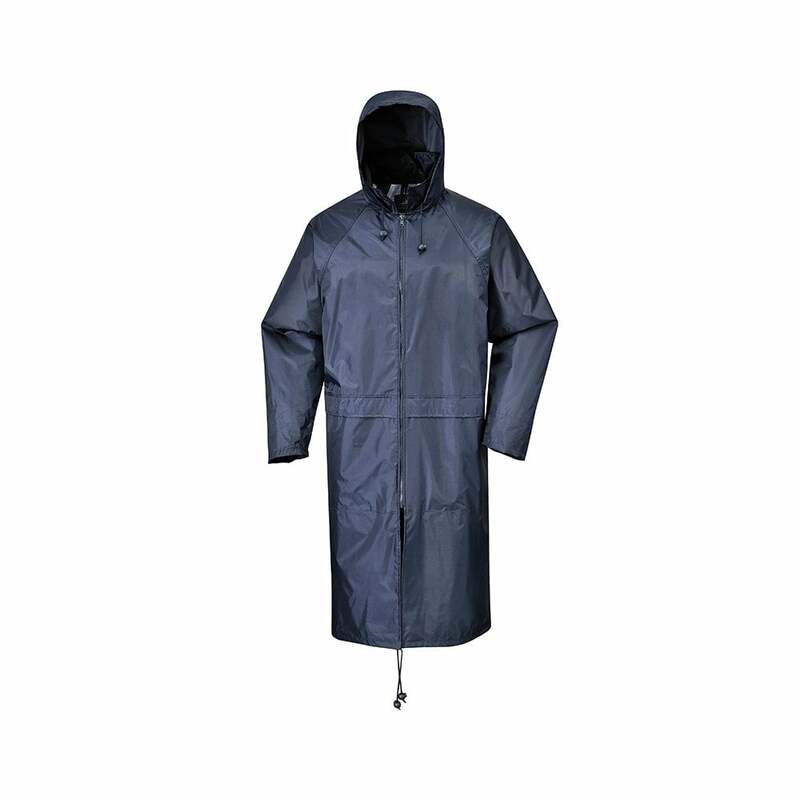 Portwest Adult Rain Coat The S438 offers unbeatable protection with its longer length, while matching perfectly with the S411 rain trousers for ultimate protection. Taped waterproof seams. Non detachable hood.